The Mayor of Makhachkala, Musa Musayev, has been arrested on cor­rup­tion charges, and is being held in a temporary detention facility. According to the pros­e­cu­tion, he gave away city land to a com­mer­cial firm worth ₽80 million ($1.4 million). On the morning of 19 January, officers from the North Caucasus Inves­tiga­tive Committee and the Dagh­es­tani Federal Security Service (FSB) raided Musayev’s home as well as the city admin­is­tra­tion building. On the same day, Musayev was arrested and a criminal case launched against him for abuse of office. According to the inves­ti­ga­tion, Musayev’s allo­ca­tion of public land to a private company cost Daghestan ₽80 million ($1.4 million). Judge Dalgat Gadzhiyev of the Sovetsky District Court ordered Musayev be placed in custody on 21 January for a period of 10 days, and he was trans­ferred to a temporary detention facility following the hearing. Caucasian Knot reported that inves­ti­ga­tors and the pros­e­cu­tor asked the court to place Musayev in detention as he ‘could prevent an objective inves­ti­ga­tion of the criminal case and pressure witnesses’, and ‘might exert psy­cho­log­i­cal pressure on his sub­or­di­nates’. On 22 January, the head of the Inves­tiga­tive Committee of Russia, Aleksandr Bastrykin, ordered the case be trans­ferred to the North Caucasus Inves­tiga­tive Committee, who should check for any other wrong­do­ing on Musayev’s part. According to Magomed Magomedov, an expert on Daghestan from Dagh­es­tani daily Chernovik, Musayev’s arrest came as a surprise to many. ‘The pre­con­di­tions were there for launching a criminal case, rather than arrest and detention. We expected house arrest and a written statement to that affect’, he told OC Media. Magomedov says that now Bastrykin has become involved, either other criminal cases will be opened or new charges will be brought in existing criminal cases. ‘Here, quite jus­ti­fi­ably, several factors have come together. [Acting head of Daghestan, Vladimir Vasilyev,] needs to con­sol­i­date his authority in the republic, to show that he is in charge here. He also really believes that the state of justice here is not great. The third is that these checks can induce people to go into the elections resenting the current situation in the republic less’, Magomedov said. Talking of the role of activists in Makhachkala who were fighting against unreg­u­lat­ed con­struc­tion in the city, Magomedov does not want to ‘over­es­ti­mate their achieve­ments’. ‘City activists can vocalize a problem, raise it to a certain level. But the question of launching a criminal case is a much deeper topic. If we look at the expla­na­tion for the launching of the criminal case, we can see that the land plot that is mentioned there has nothing to do with the activ­i­ties of activists’, he said. 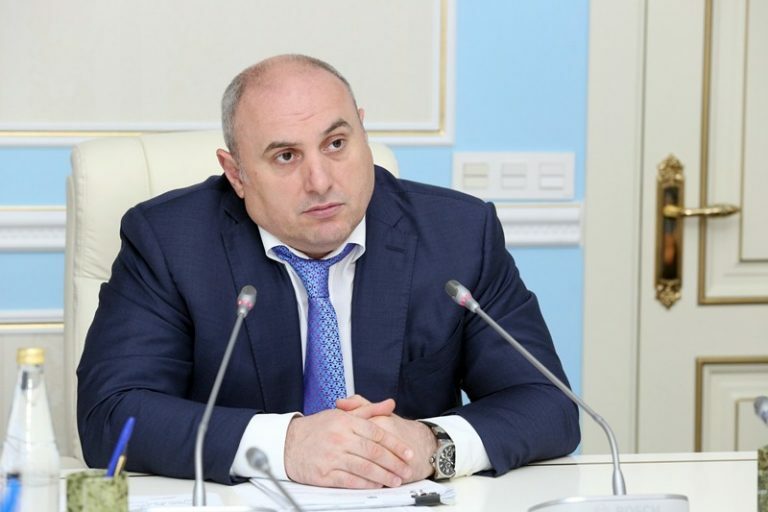 Unreg­u­lat­ed con­struc­tion in Makhachkala has found its way into a number of speeches by the acting head of Daghestan, Vladimir Vasilyev. On 13 January, Russia’s ‘Day of the Press’, Vasilyev met with jour­nal­ists and spoke about the issue. He said there would be a ‘shrinking of the executive apparatus’ and hinted that they would get rid of ‘people who can’t work’. Reports emerged late last year that the author­i­ties were planning to ‘audit’ the region. At a meeting with the Daghestan’s Council of Elders (a tra­di­tion­al advisory council), Vasilyev said he had asked President Putin to send a group of inde­pen­dent auditors to the republic. A total of 38 pros­e­cu­tors and around 40 experts and con­sul­tants are expected to arrive for the task.